Need to loose a bit of weight? Need reminding how much and what you have achieved? 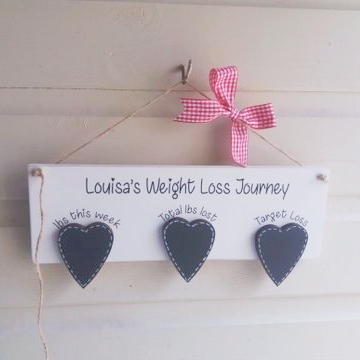 The first heart says " lbs this week"
second heart says "Total lbs lost"
Third heart says "Target loss"